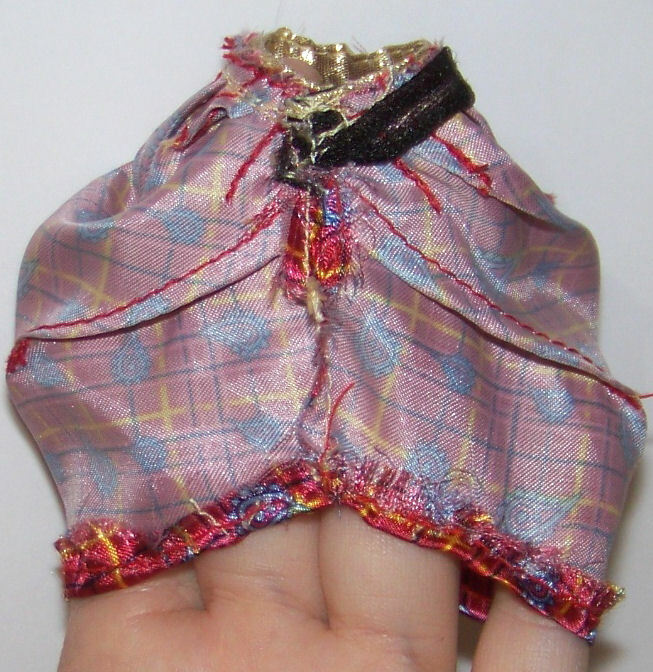 Monster Highs don’t have much in the way of casual trousers so here’s how to turn a pair of cheapy barbie sized trousers into nice monster high fitting ones without having to sew from scratch or move the velcro! 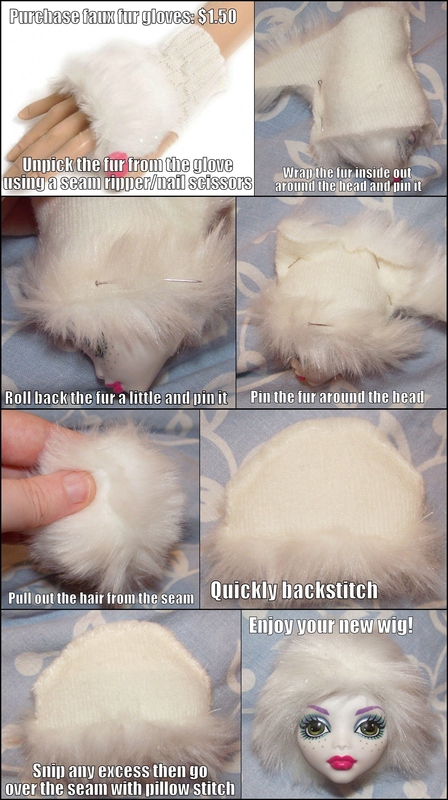 * Turn inside out (use a pencil or screwdriver), pin velcro closed. 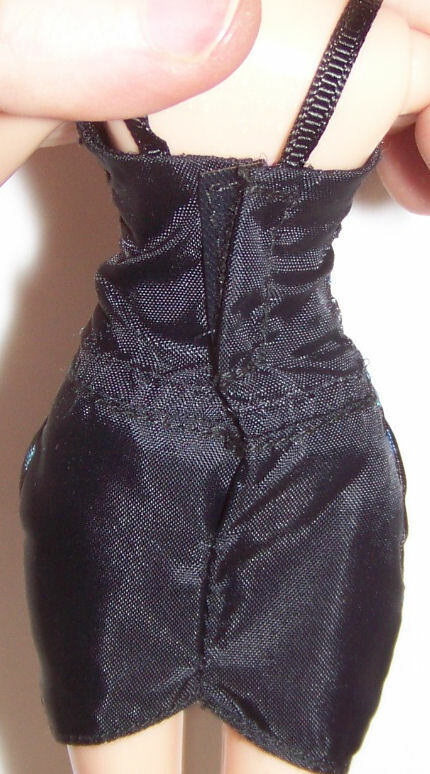 * Move the waist to where it feels right on your doll then pinch and mark with a pen where the new crotch should be. * Sew this very tightly through all layers. * Pinch and mark new lines for the sides. * Cut the excess then sew it. 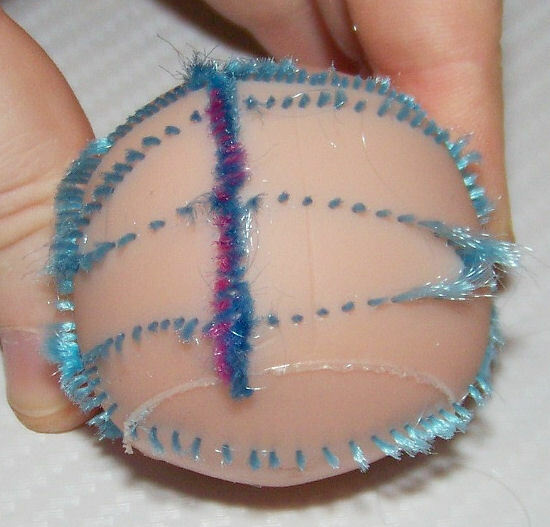 Remember to do a hem or your doll’s feet will catch in the fabric. 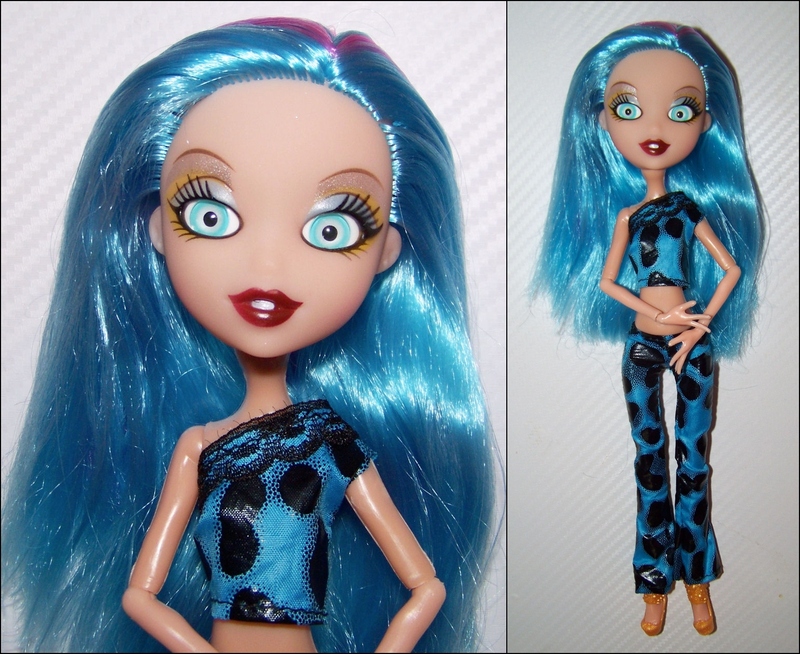 Now you have a pair of monster high trousers! I should have used a different fabric as denim is rough on the fingers to sew and this stuff frays like crazy so I had to go over all the seams with pillow stitch. Anyway, enjoy the tutorial! Happy repurposing! 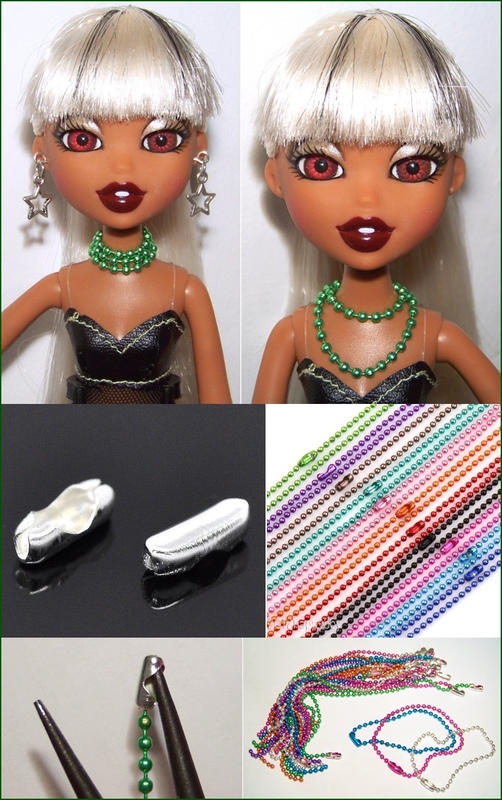 This entry was posted in Tutorials and tagged bratzillaz, clothes, craft, create a monster, doll, hack on February 21, 2014 by saffy. 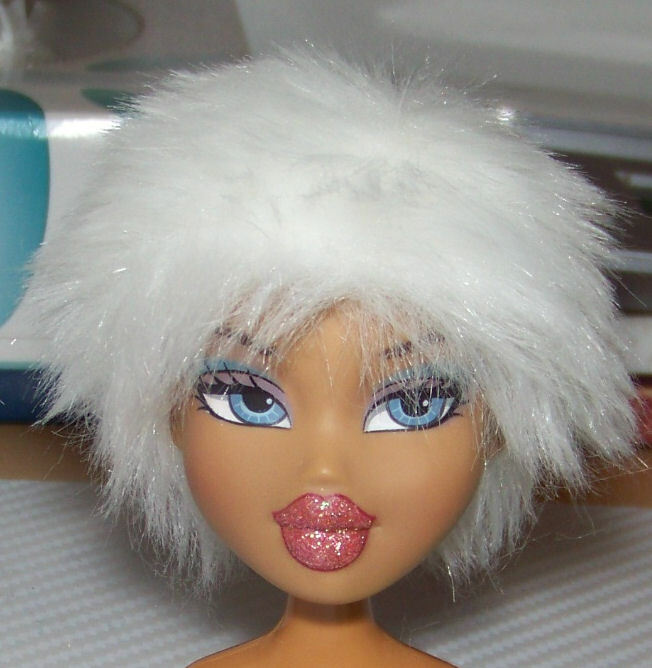 Fake bratzillaz from aliexpress. $6 each with free shipping. Jade with new brown eyes. 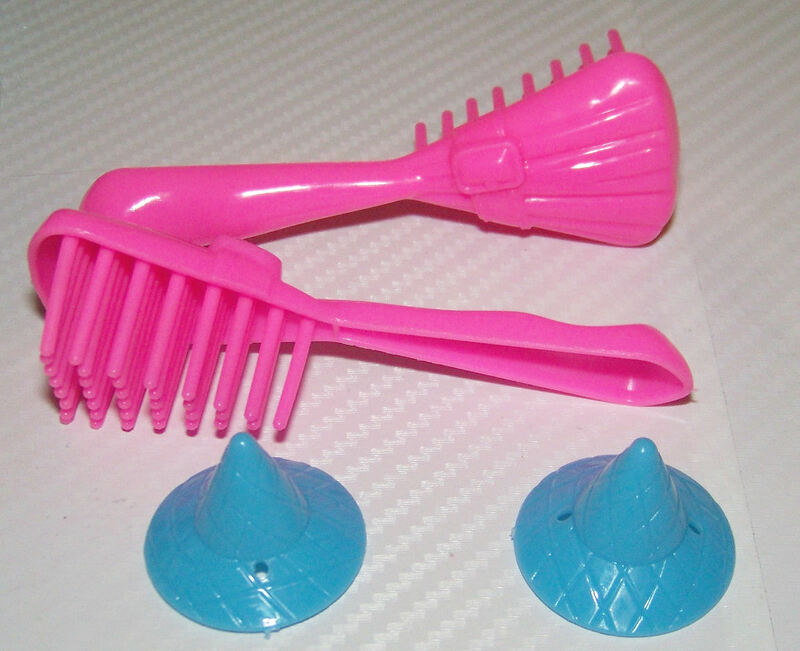 Meygana spelled “Meygarya” on the package with blue and pink hair. I removed Meygana’s hair as it started frizzing and was more sparsely rooted but I love the colour choice. 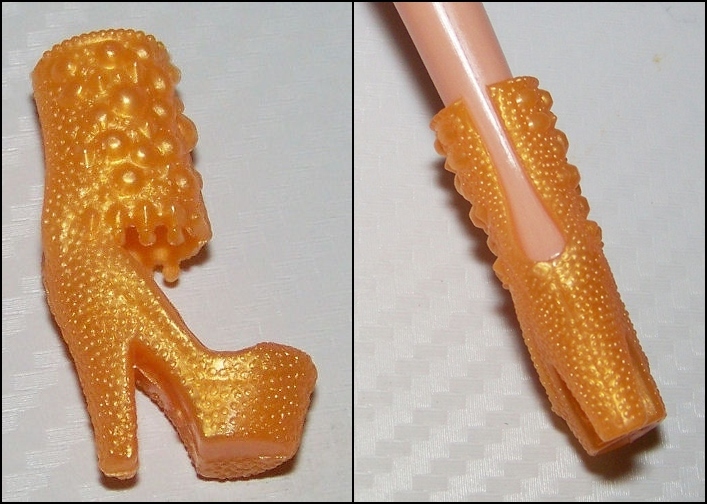 They come with a hot pink plastic broom brush, a blue plastic witch hat and gold shoes. Jade’s dress was too short but it makes a nice skirt with the top removed, Meygana’s pleather top was too big but was easily refitted by gluing the velcro folded over itself at the back. The pleather trousers fit perfectly. 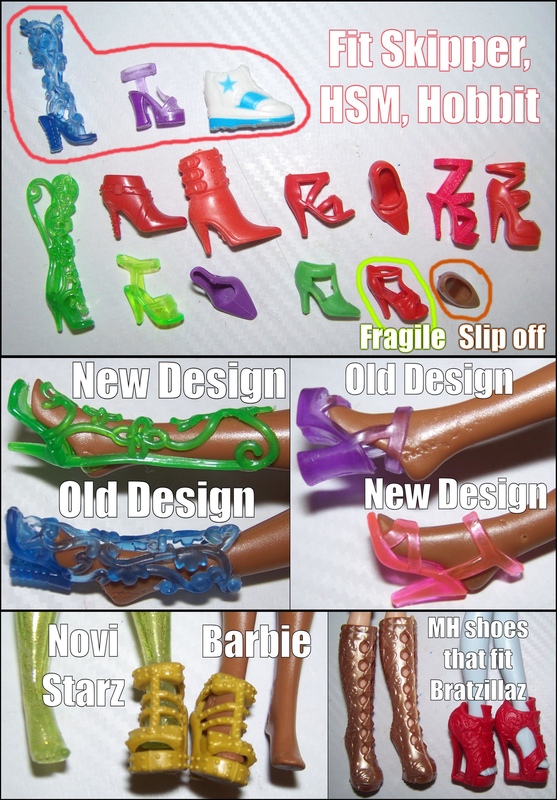 They have hard hollow plastic monster high recast bodies with visible seams, molding errors and plastic discolouration. They are caucasian flesh tone coloured. The feet are Skipper/High School Musical sized. 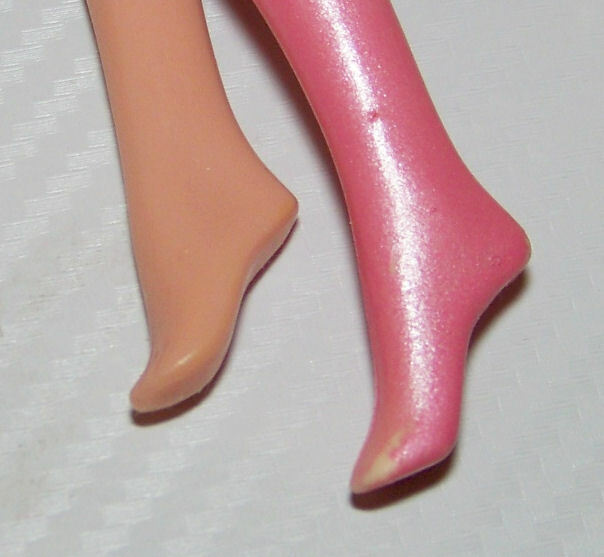 The hip joint is a peg not elastic, the joints are fragile but offer the same poseability as a monster high. The neck knob is solid so head movement is restricted to side to side. The neck doesn’t seem really suited to the fakezilla head, that long neck seems better with a monster head. Head pops off easily, just gently pull. 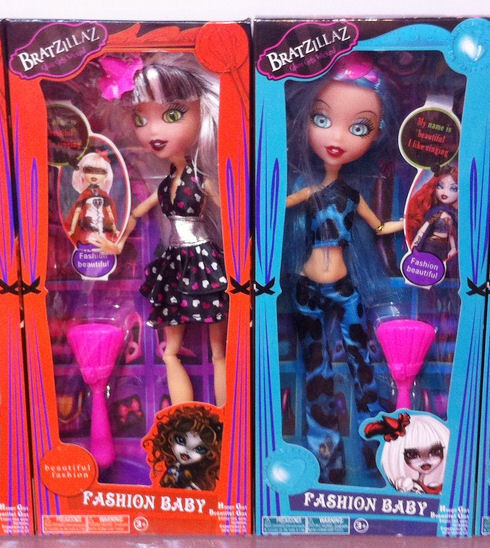 They are rooted with cheap nylon (frizzes when brushed same as the official bratzillaz made with nylon) in a thin pattern. 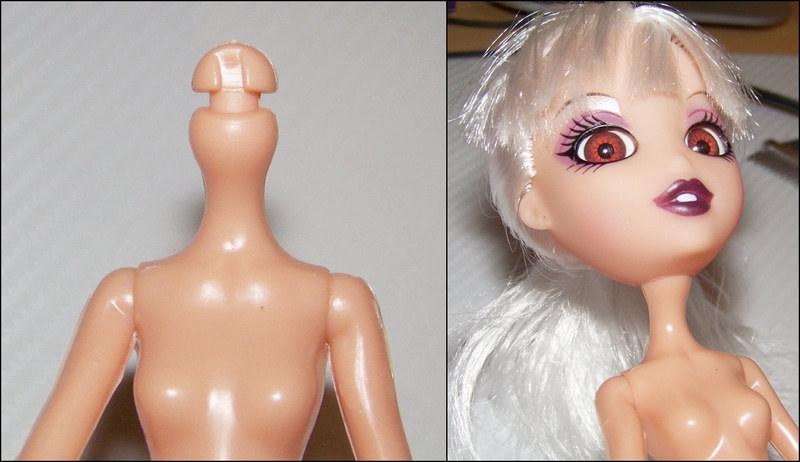 The head is soft vinyl unlike bratzillaz which are fairly hard. They will be easy to reroot. 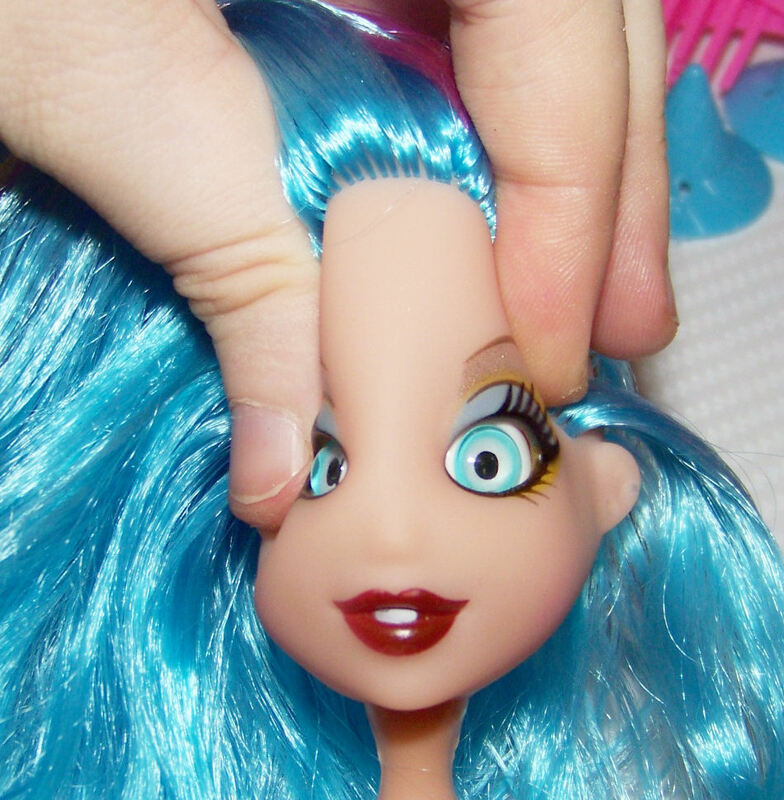 The eye sockets use the same pocket system as Bratzillaz and the eyes are interchangable. The eyes are easy to move around inside the eye sockets so they can glance sideways or straight ahead. 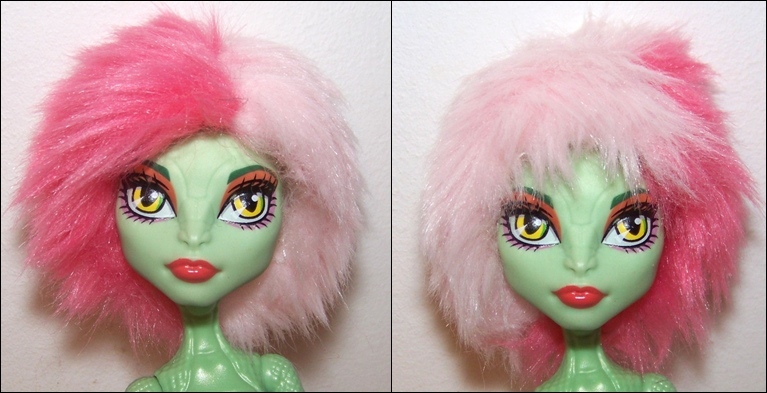 I swapped out Jade’s eyes for brown 10mm glass eyes before doing this tutorial. 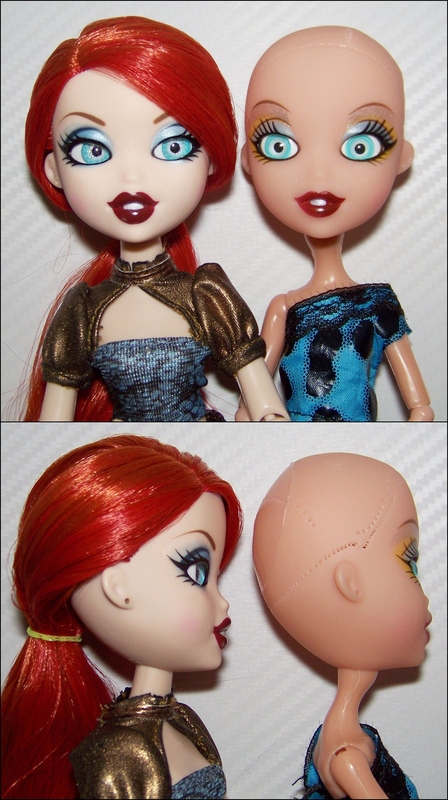 The face is flatter than a bratzillaz but shares that odd sort of bean shape similar to blythe heads seen sideways. 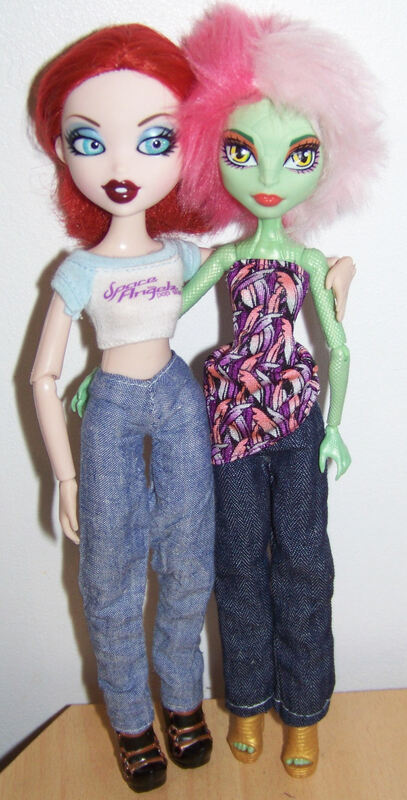 I bought these girls because I needed a cheap monster high body for dress making and the cute bratzillaz heads were a bonus. 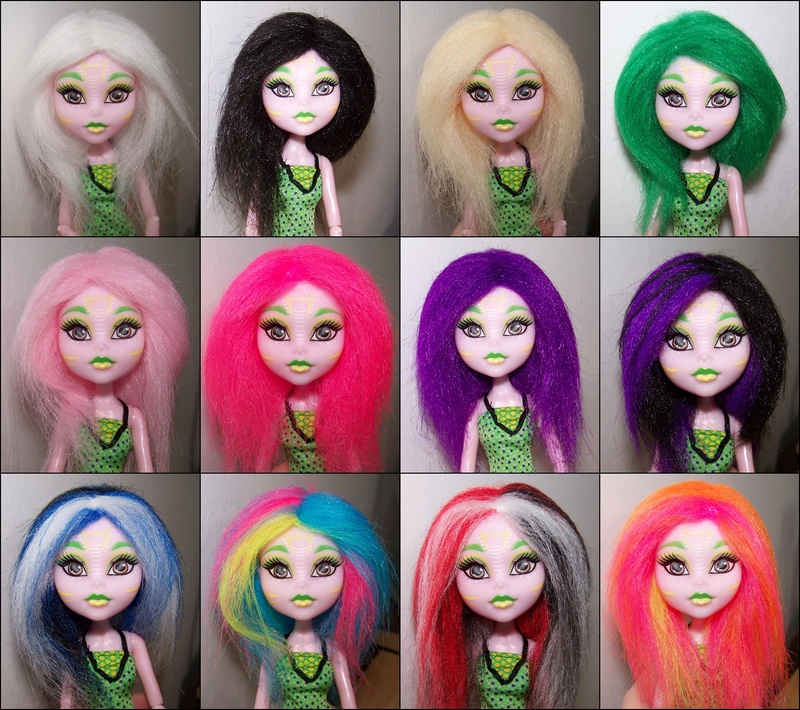 I think Jade will get a white yarn reroot or a white mohair wig as it suits her, likewise I’d like to reroot or wig Meygana in blue and paint over the yellow eyeshadow in a more blue tone. 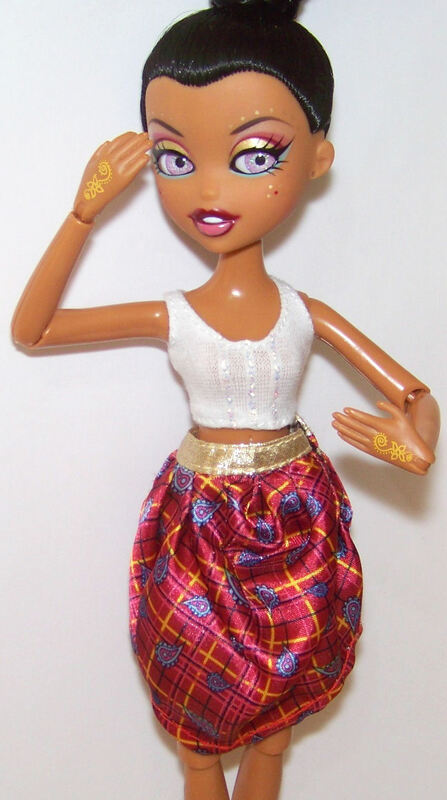 This entry was posted in Tutorials and tagged bratzillaz, clone, doll, fakie, review on July 12, 2013 by saffy. 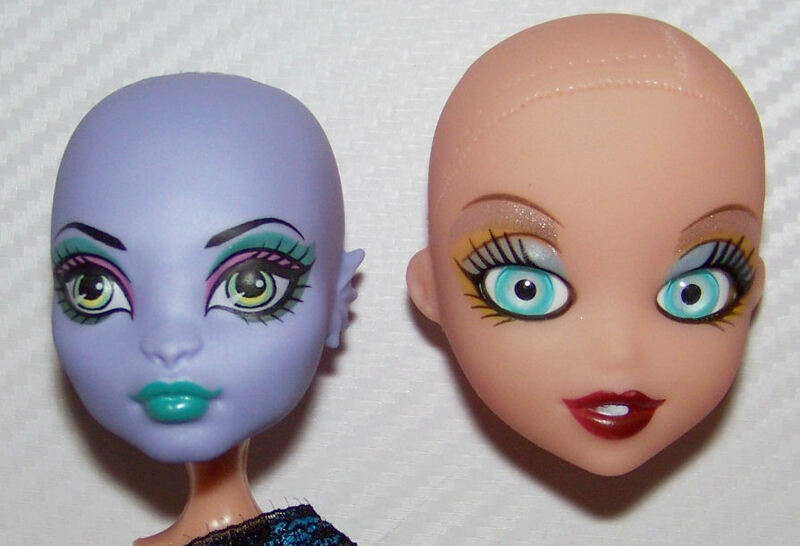 Quick tutorial on how to find eyes for your bratzillaz and swap them. I know this has been done before but I couldn’t find the exact measurements for purchasing new eyes so here ya go! 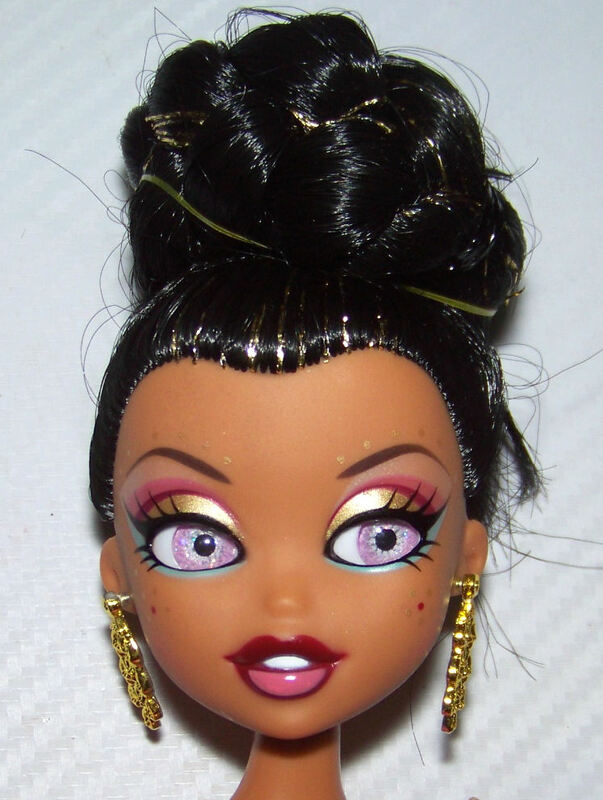 The bratzillaz eye is 12mm long, 10mm wide with an 8mm iris (On ebay, this is how small doll eyes are often measured: in iris size). The height/dome of the eye is about 6mm (half flat type eye) so you wouldn’t be able to fit a spherical bead or spherical glass eye without cutting out the vinyl socket first. Here I replaced Sashabella’s eye with a circular glass cabochon of 12mm but flat (4mm). 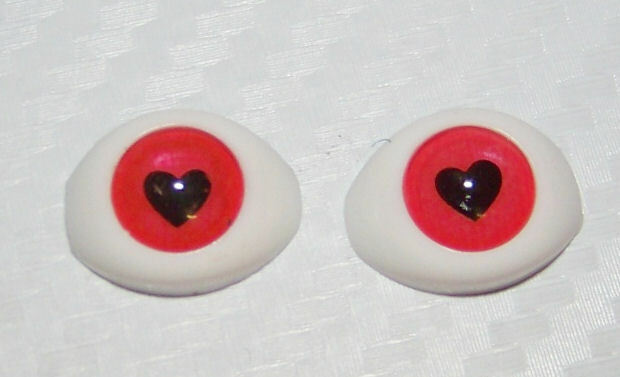 * 12mm animal eyes ( used on a pullip) had too much dome height and did not fit. * 10mm flatback half pearls fit but left a slight gap at the side. 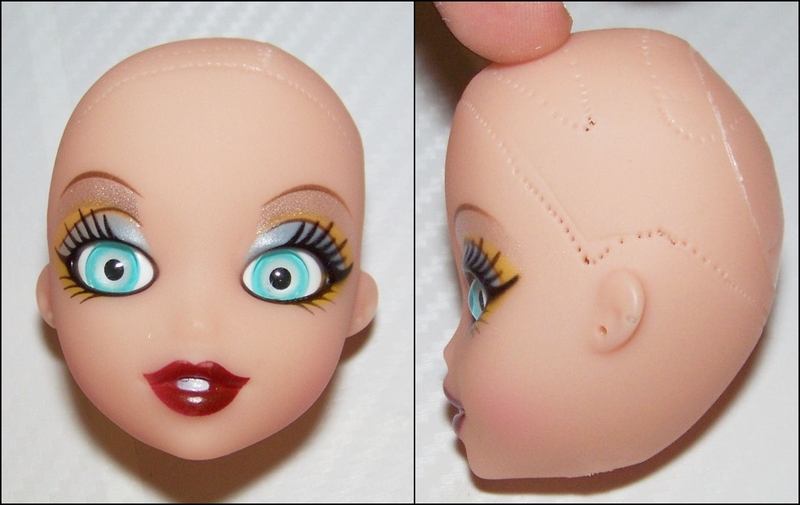 use a screwdriver orchopstick to push the eye out from the socket from inside the doll’s head. Heat the eye socket again before inserting the new eye to avoid tearing. 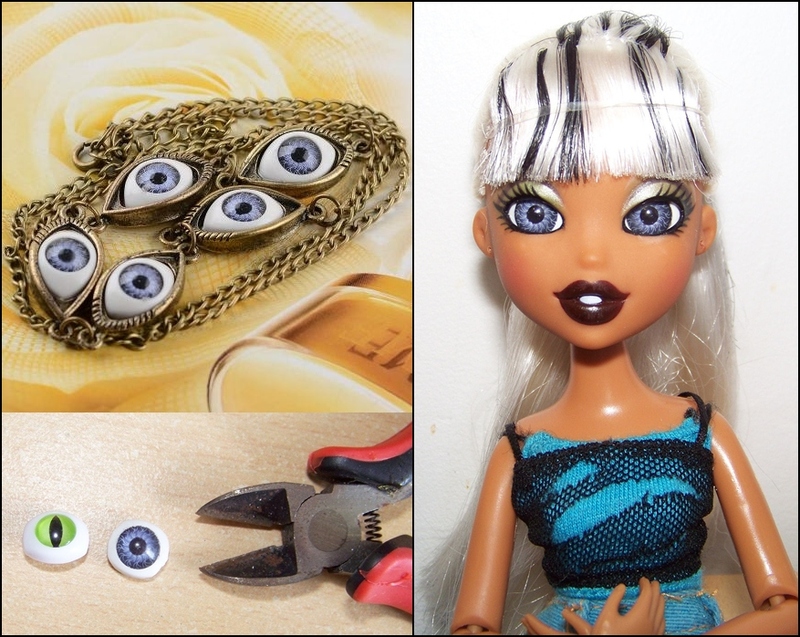 This entry was posted in Tutorials and tagged bratzillaz, eyes on May 2, 2013 by saffy.